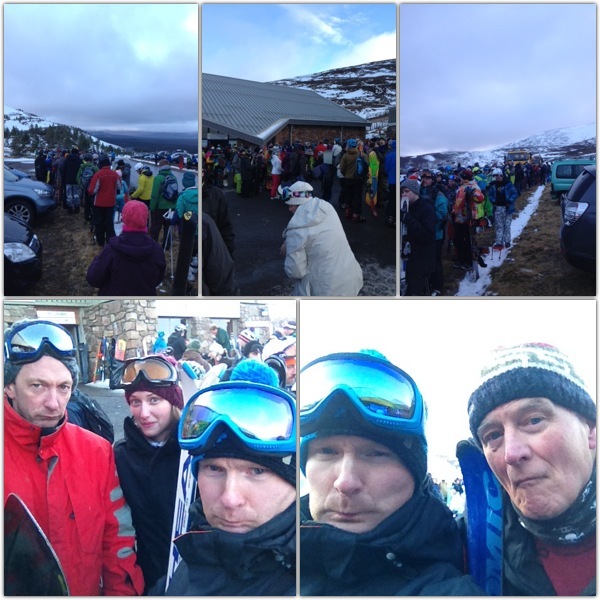 I expected Cairngorm to be busy today. Christmas holidays, sunny weather and top to bottom skiing. Of course the slopes would be bursting at the seams. I was however not expecting it to be quite so crazy. The only word I can use to sum up what occured this morning is – Gongshow. To turn up at a mountain at 9:15 and then be expected to queue for three hours to get a lift ticket is quite frankly not on. Extremely frustrating and disappointing. Also, to charge a full days ticket price at 12pm when it is clear that people have been waiting for two to three hours shows a distinct lack of customer care. If they had discounted the tickets by even a meagre five pounds it would have promoted some good will. I understand that it was an extremely busy day and the numbers were high. It is however always busy over Christmas holiday weekends. The mountain was unprepared to cope with distributing lift passes to the volume of customers that turned up. Once on the mountain the queues were not too bad. The problem this morning was entirely due to the ticketing staff not being able to cope with higher than normal volumes. I am sure Cairngorm will analyse what occured today and strive to ensure it never occurs again. I am usually full of praise for them. However today they got it wrong. I hope anybody skiing for the first time in Scotland was not put off for life! (NB. This season Cairngorm are in the process of modernising their ticketing operatons. 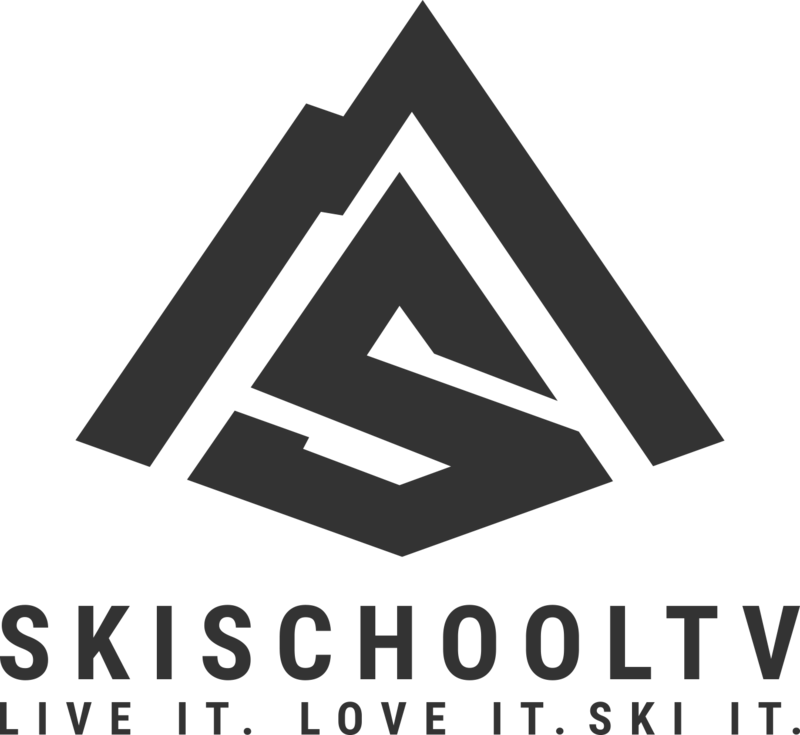 They have installed ski data readers and are issuing “rechargeable” passes that I believe can be prepaid online – vast reduction in ticket queues expected – theoretically. This bodes well going forward). Once up on the slopes the weather was fantastic – sunshine and pretty much zero wind. Beautiful views down to Loch Morlich. The snow was hardpacked and icy in places with wind scoured areas. It will make a pretty good base though so not all bad. More snow however needed. The best snow was on the White Lady and M1. If you keep to skiers left on the Cas you can also find some nice little pockets of snow. I was skiing with my Dad (nearly 70 – one of the Silver Skiing brigade), my brother, my oldest friend and his better half. It was only her second time on ski’s – first time outdoors. She handled the morning nightmare lift line situation well and then totally rocked the slopes in a wicked snowplough. The video I took of her was pretty much her first run – so a tad unfair of me. By the end of the afternoon she was making some sweet wee turns. It`s always nice to spend time in the mountains with friends and family.